OTTAWA – Mary Anne Minneci, age 95, of Ottawa, passed away Tuesday morning, October 9, 2018 at her daughter’s home in Princeton, surrounded by her family. Mass of Christian Burial will be held at 11:00 a.m. Saturday, October 13, 2018 at St. Francis of Assisi Catholic Church with Reverend David M. Kipfer officiating. Burial will follow in St. Columba Cemetery. Visitation will be held from 4:00 p.m. till 8:00 p.m. Friday evening at Gladfelter - Roetker Funeral Home with Rosary at 3:45 p.m. Pallbearers will be Patrick Farrell, Steve Thrush, Ed and Evan Schaibley, Jordan and Erica Roetker, and Katie Farrell. 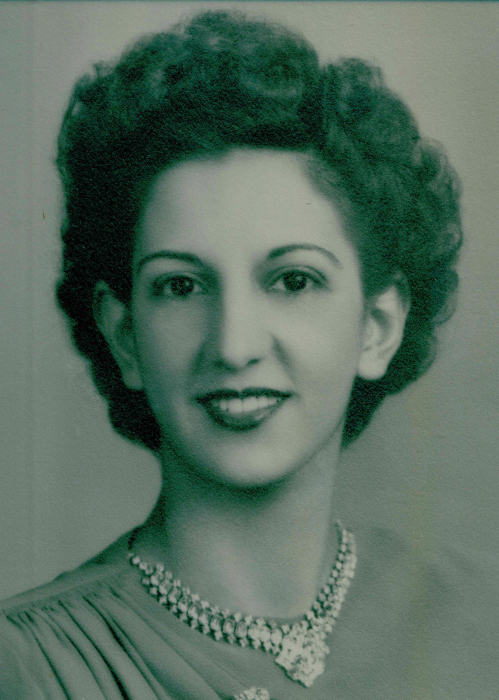 Mary Anne was born December 14, 1922 in Joliet, the daughter of Vito and Anna (Verona) Leone. She married Philip Minneci October 8, 1949 at St. Columba Church in Ottawa. He preceded her in death February 8, 1993. Survivors include her children, Philip M. (Kim) Minneci of Scottsdale, AZ, Kathryn (Patrick) Farrell of Princeton, Teresa (Edward) Schaibley , and Annette (Steven) Thrush, both of Marseilles; her grandchildren, Katie Farrell, Jennifer (David) Newell, Christopher Minneci, Erica (Jordan) Roetker, and Claire, Evan, and Emily Schaibley; one great granddaughter, Mackenzie Roetker; and two sisters, Theresa Masinelli of Ottawa and Frances Minneci of Beverly Hills, FL. She was preceded in death by one sister, Josephine Minneci. Mary Anne was a member of St. Columba Church, where she had formerly sung in the choir and was a Eucharistic minister. She was also a member of the American Legion and the VFW Auxiliaries. She was a volunteer at the hospital, Reruns, and the City as well as volunteering for Judge Peg McDonnell Breslin. Hobbies she enjoyed included crocheting, playing Bingo, going to the gambling boat, and traveling.